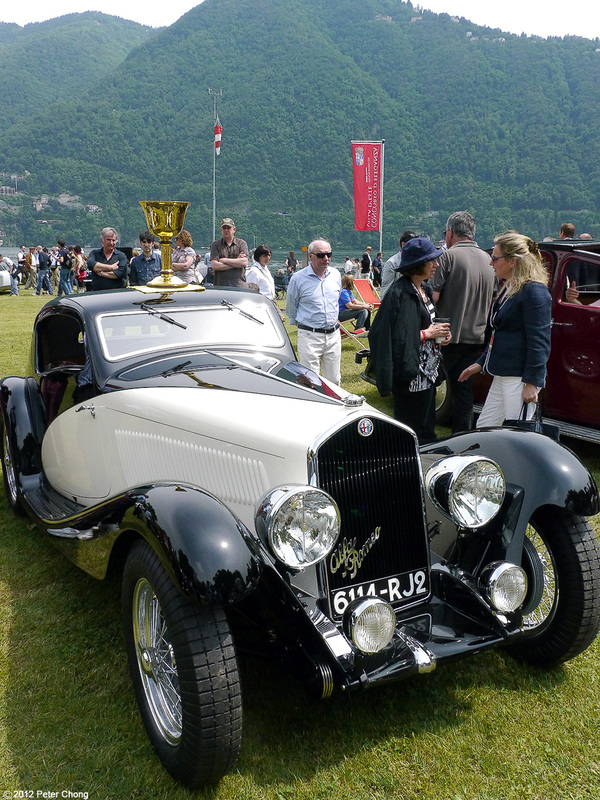 Alfa Romeo 6C 1750 GS 6th Series (1933) was the winner of the Jury Prize and the Public Best of Show Prize in this year's Concorso D'Eleganza 2012. 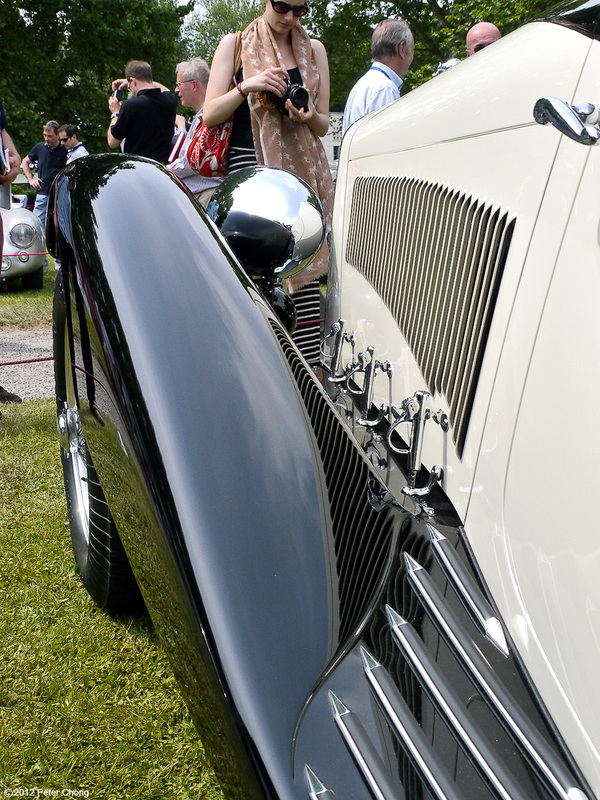 This magnificently restored car features a standard six cylinder inline engine with a displacement of 1752cc. 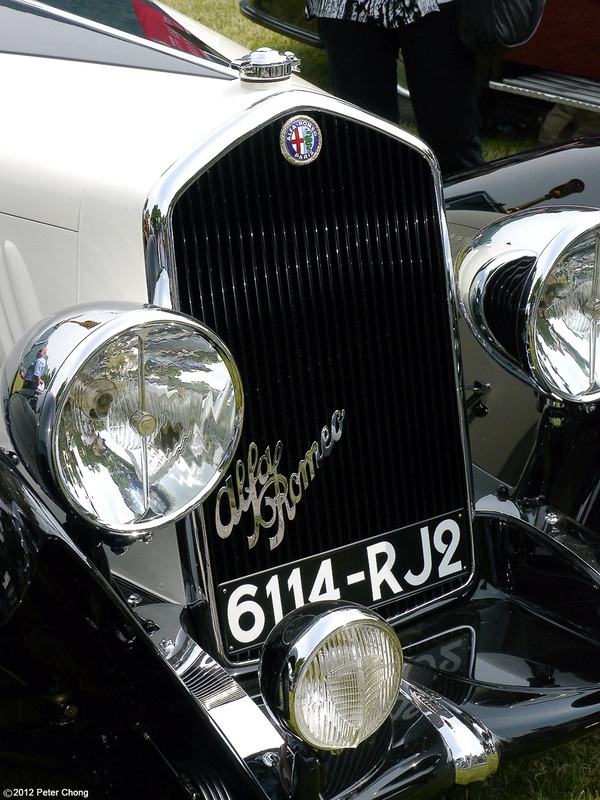 This type was originally developed by Vittorio Jano and was presented in Rome in 1929. 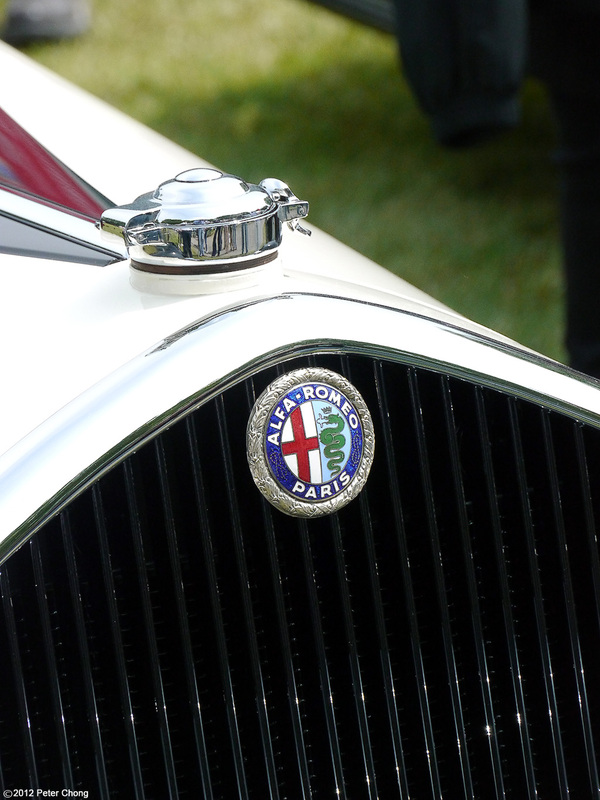 And presented to the 2012 Concorso by its current owner David Cohen from Canada. This car is a particularly rare Alfa Romeo 1750 with a unique coupe body by Italian coachbuilder Figoni. 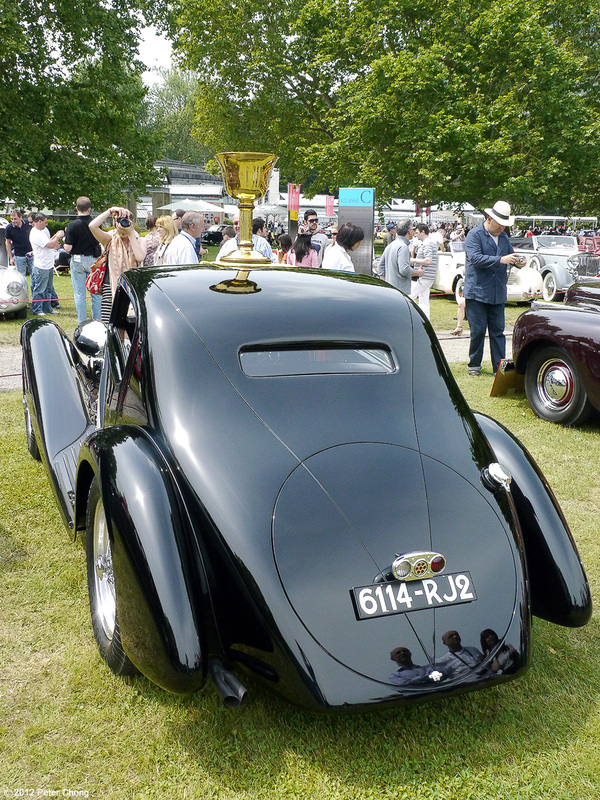 This car is fone from the sixth and last series of the Type 1750 and was presented at the Paris Motor Show in 1933. Later the car won several beauty contests and winning in its class at the 24 hour Le Mans in 1935. The beautiful sweeping lines of the car is amazing. And the immaculate paintwork! 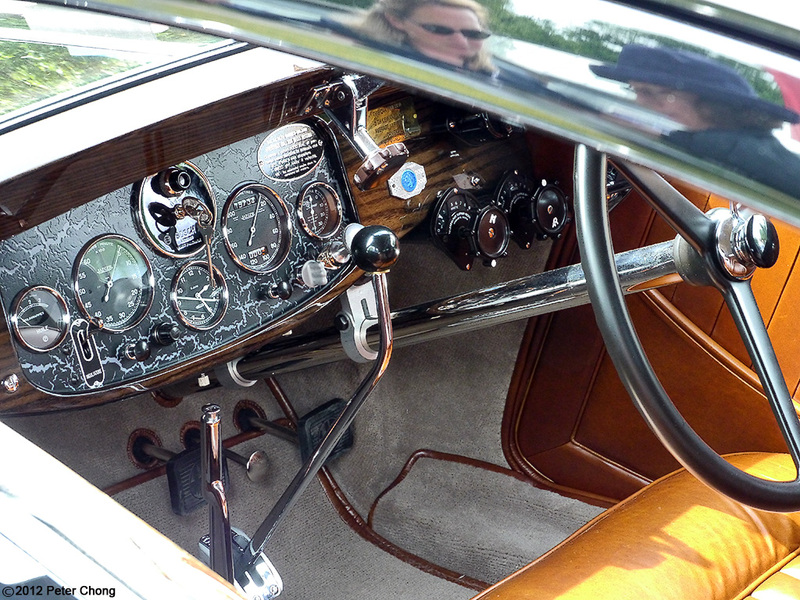 As is the wonderfully immaculate interior....note the interesting dashboard. 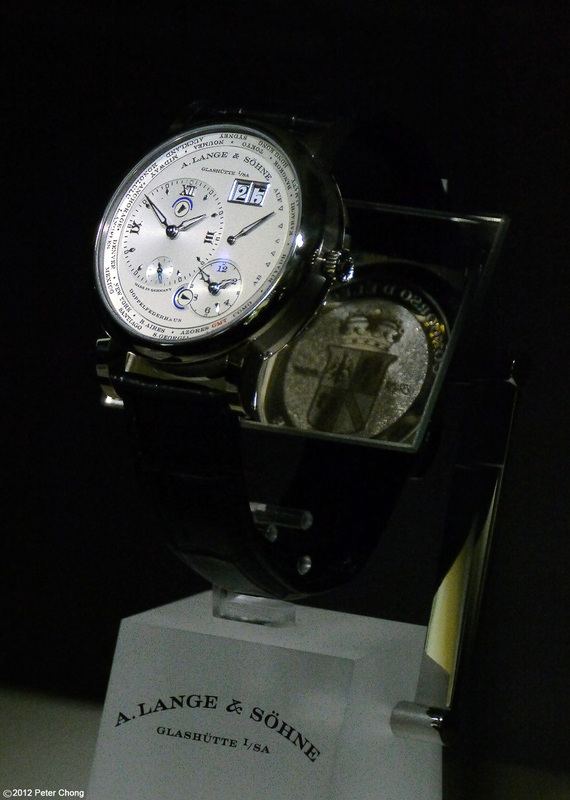 As winner of the Coppa Doro, the car also won a special prize from this Concorso's new partner - the fine watchmaking firm of A. Lange & Sohne, who presented the winner with a special edition of the Lange 1 Timezone. This watch has a special city indication on the timezone dial which indicates Como instead of the customary Berlin. And features a semi- hunter caseback with the coat of arms of the Concorso D'Eleganza engraved by hand at the engraving workshops in Glashutte.